These ladies brought their A-game to the red carpet! The Oscars red carpet arrival is something that we at Preview always look forward to. After all, it's not just an evening of talent recognition, but also a celebration of style and fashion. 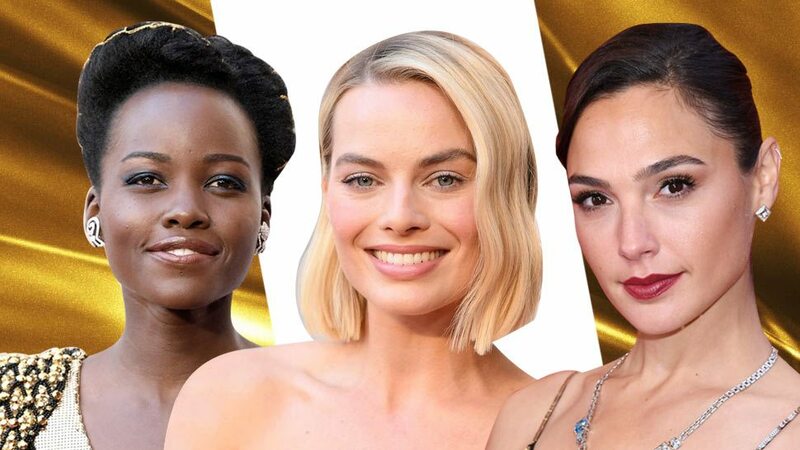 Stars are expected to dress to the nines and it's always a joy to see them do so through one of the most glamorous events in Hollywood. Below, we round up our top 1o best dressed ladies who stole the show this year before the actual trophies were even handed out. Margot's red carpet look was both timeless and modern. She updated the classic silhouette of her gown with an intricately embellished neckline punctuated with contemporary metallic accessories. Emily went for a frothy blue tulle gown, perhaps a forthcoming look as the new Mary Poppins. Her cotton candy frock had a Victorian high neckline with strong shoulders and floral appliqué on the bodice, giving the actress a sweet, delicate vibe that felt all too natural. Brown is a color we don't often see on the red carpet. But after seeing Zendaya's ruched asymmetric gown, we're suddenly left wondering why the hue isn't a popular choice by A-listers. 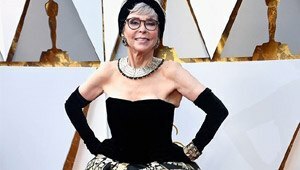 Red carpet veteran Jane Fonda showed up in a crisp white column gown, definite proof that classic and tailored silhouettes will never go out of style. Lupita continued her sartorial streak in this golden number that isn't only bold and eye-catching, but also impeccably tailored to accentuate her body perfectly. JLaw was a golden girl in a shiny Dior creation that featured a bustier neckline and super thin straps. We love how she did away with statement jewels and opted for drop earrings and a minimalist diamond bracelet to complete her look. Recycling an outfit has never looked this good, especially because Rita chose a Pitoy Moreno creation! Decades later, the late designer's opulent brocade masterpiece has become even more en vogue. We love how Rita updated the gown by altering her neckline, complete with a velvet turban to tie her look together. Baby Driver actress Eiza looked ever so radiant on the red carpet wearing a bright yellow Ralph Lauren dress that hugged her in all the right places and featured a sultry backless surprise that made her stand out even more. Sandra's custom Louis Vuitton made sure the actress sparkled like the star that she is. The sequinned ombre gown had a mock neck and halter cut that showed off the actress' shoulders, which she paired with a long sleek 'do that polished her whole look. Saorise stunned the audience in this simple yet dramatic pink Calvin Klein creation that reminded us of Gwyneth Paltrow's iconic Ralph Lauren satin gown back in 1999. The Ladybird actress got her own version of a pretty in pink moment, taking a contemporary route with her barely-there makeup and sleek short bob.